Working with Business Support Advisory you can expect a structured and effective approach to increasing the value and attractiveness of your business. We then leverage this increase in value to attract high levels of investment. Our primary services are aimed at successful businesses requiring exit plans and emerging businesses seeking significant growth. 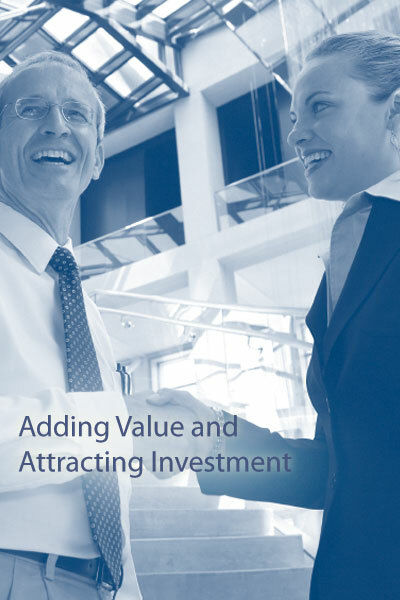 We use our knowledge, expertise and contacts to increase the value and appeal of the business, and then work with M&A intermediaries, investors and partners to convert this value into the highest possible investment or sale price. We develop exit plans that increase the intrinsic value of your business and optimize the timing and value of the exit. Utilizing a seven step process we start by defining your exit objectives, then work with you and a team of financial planning, tax, legal, and intermediary experts to achieve these objectives. We help you obtain an optimum price for the business while protecting the wealth created. Our programs analyze the appropriateness of funding, identify the most appropriate sources and then prepare your business for obtaining the required capital. We also facilitate introductions to prospective investors and provide direction and support through the critical presentation and negotiation phases. We utilize a number of business development processes to help obtain long term, sustainable and predictable growth. We work alongside senior management to develop marketing strategies, unique selling propositions and compelling value propositions. We then focus on improving the sales processes, enhancing sales management techniques and developing the sales team. Investors: We offer Venture Capitalists, Private Equity Groups, Business Angels and other qualified investors, access to pre-qualified investment opportunities. Where appropriate we will also help manage the post acquisition process, ensuring business continuity. Financial Planners/Attorneys/CPA�s/Valuation Experts/Investment Bankers/M&A Intermediaries: We provide business advisors an opportunity to deliver additional services and increase revenue from their existing clients; while enjoying access to new clients. We show them how to create unique value propositions for their clients by making them an integral part of the Exit Planning, Funding and Business Growth programs.